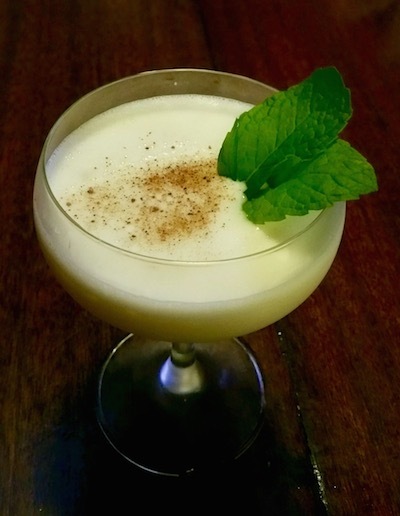 Tired of the same old eggnog? Bartenders are, too, and in this season of giving, they’ve have shaken up and shared top picks from their drink menus to boost holiday outings beyond the basics. From the warmth of whiskey to sweet plum wine and spicy gingerbread liqueur, here are out-of-the-box holiday cocktails to pack some punch into your seasonal gatherings. Health and wellness are a priority at Founding Farmers, so it’s no surprise that the winter beverage menu (offered through the end of February) spotlights fresh-pressed juices. Beverage Director John Arroyo’s Winter Pie features cold-pressed apple juice, vodka, lemon, and cinnamon syrup, garnished with fruit. Serving anything in a Champagne flute emphasizes a celebratory spirit, but garnishing it with an orange peel bow makes it extra-special for the gift-giving season. 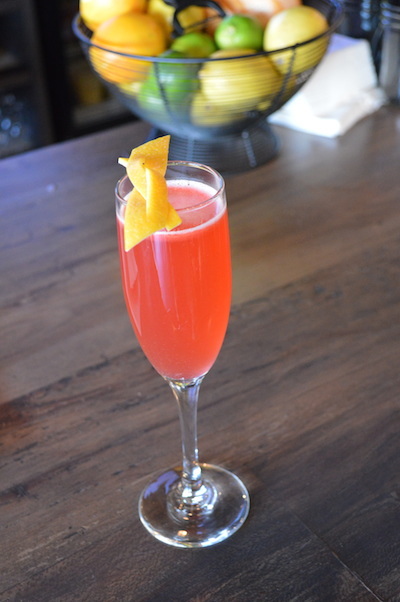 In the Crudo Cran Royale, sparkling wine and bright lemon are given some added depth with housemade spiced cranberry syrup featuring clove, star anise, cardamom, and cinnamon. 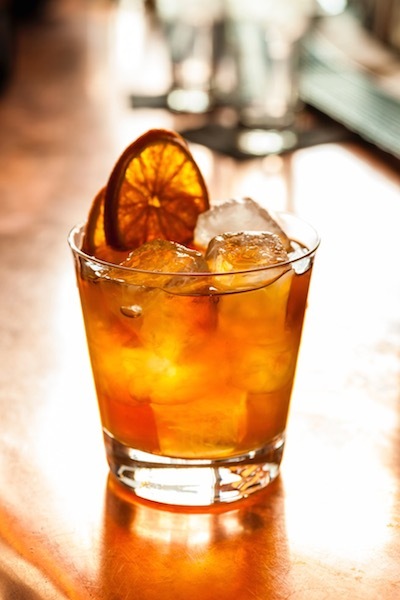 The pepper and oak notes of US*1 Rye mix perfectly with the orange, anise, and clove of the China-China liqueur in the Valley Forge Flip, but the splendor of this perfect pairing is only matched by the cocktail’s historical origins. The name pays homage to the Michter’s namesake rye that warmed Revolutionary troops when George Washington purchased 200 barrels for the brave men spending winter on the battlefield. The contemporary tipple gets an upgrade with a dash of nutmeg and indulgent Aztec chocolate bitters. There’s no need to head to the ballet for visions of sugar plums this season if you toast the season with a Smoked Plum Negroni. SUSHISAMBA’s Head of Spirit and Cocktail Development, Richard Woods, refreshed the signature list this December with unique, handcrafted cocktails. This one reinvents a classic aperitif with smoky Hakushu whiskey, umeshu (sweet/sour plum wine), vermouth, and citrus, that’s guaranteed to loosen up your own dancing feet. 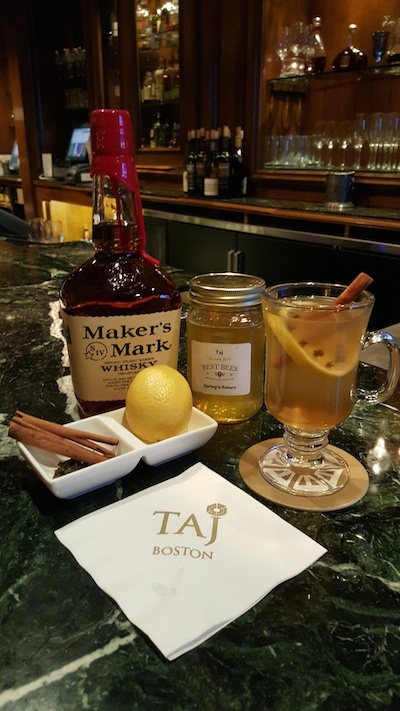 The Gaelic version of “cheers,” the blessing slainte toasts to good health — and this cocktail from Taj Boston bar manager Gabriela Garcia has a few medicinal benefits if you ask those who purport local honey can help allergy sufferers (the Taj Boston has its own rooftop hives). The Slainte’s warm whiskey notes are enhanced with a cinnamon stick, clove-studded lemon wheel, and hot water for a drink befitting the winter’s cold fingers. One sip of Winter With Valentino, the cocktail named for silent-film star Rudolph Valentino, speaks for itself — the warmth of the bourbon and rich ruby-red tones of Cherry Heering evoke merry chats and romantic evenings. 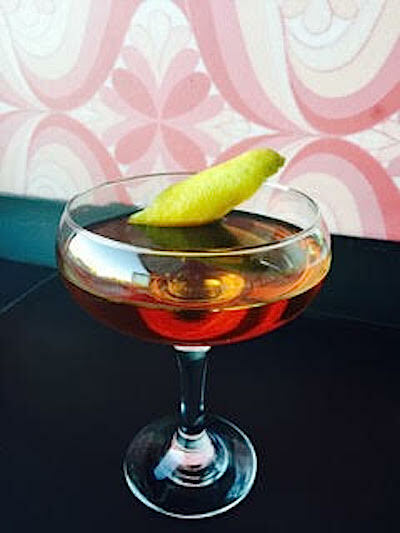 Vermouth and a chocolate-covered Amarena cherry from the Old Country are odes to the actor’s native Italy. Kids aren’t the only ones who get to enjoy Christmas candy anymore. Bart Simpson’s favorite treat gets an upscale makeover in the form of an indulgent dessert in a glass, which comes as no surprise seeing as how all of Big City Tavern’s desserts are made in-house. 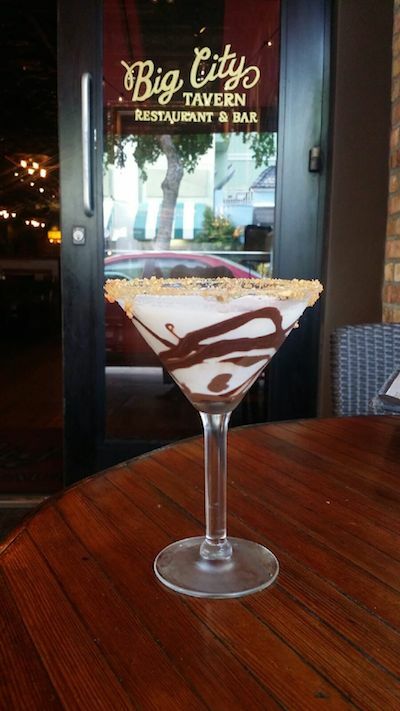 The Butterfinger Martini — complete with Kahlua, a crushed-candy rim, Godiva Chocolate Liqueur, and heavy cream — is the bona fide adult version of a gingerbread house in a glass. Renowned for its refreshing Strawberry Fields cocktail with fresh berries and vodka in a mason jar, the Tipsy Pig’s best seller transitions to a more traditional Hog Nog in an elegant glass around the holidays. Bartender Kyle Barkley’s tipple packs a standard with an extra punch thanks to the addition of Snap gingerbread liqueur, vodka, and mint into traditional nog. 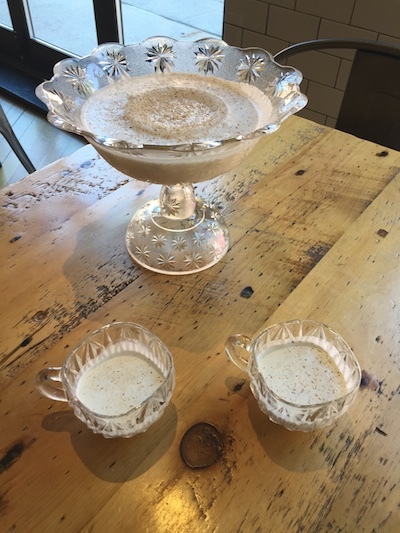 Bar Manager Michael Hyatt created Milk Punch for those weary of raw eggs in holiday nog. Like all of the drinks at Ward 8, served in appropriate glass based on spirit, this one also looks grand multiplied for larger crowds and parties in a traditional crystal punch bowl. 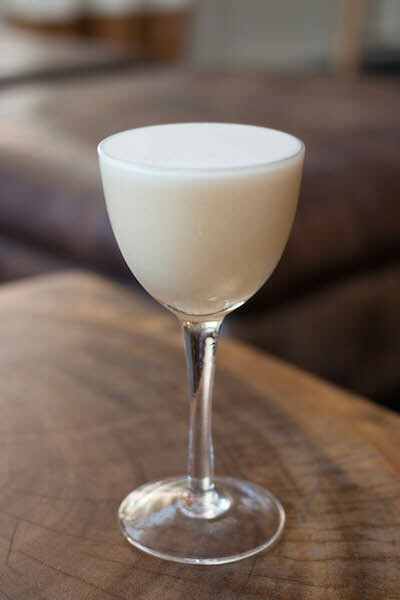 It’s a crowd-pleaser, with the body of VS cognac tempered by whole milk, vanilla, and grated nutmeg. 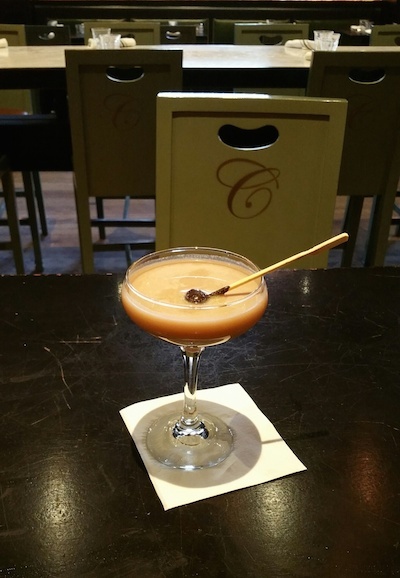 For those looking for a late-night pick-me-up, the Reviver is sure to boost spirits. 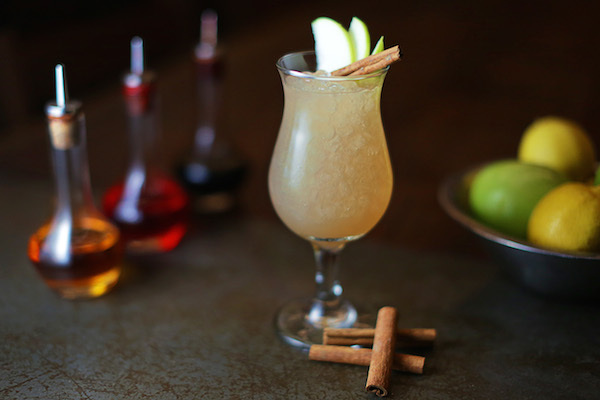 Featuring Applejack, ginger liqueur, sweet vermouth and apple cider vinegar, it’s one of the season’s most popular holiday drinks at Denver’s Linger, where guests tend to do just that while admiring snowflakes falling over the Mile High City. Which holiday cocktail do you want to sip + savor this season? Tell us in the comments or share your thoughts on Facebook, G+, Instagram, Pinterest, or Twitter. Carley Thornell is a travel writer whose experiences eating street food in Japan, English peas in the UK, free-range steak in Argentina, and Brussels sprouts at Estragon tapas in her hometown of Boston have provided unforgettable culinary inspiration.